Here is a followup to the “Malaysia: Churches Firebombed” story. Obviously things are getting worse for Christians stuck in Islamic countries. Anyone hear from the Pope lately? KUALA LUMPUR, Malaysia – Firebombs were thrown at two more churches in Malaysia early Sunday and another church was splashed with black paint, the latest in a series of assaults on Christian houses of worship following a court decision allowing non-Muslims to use “Allah” to refer to God. Hundreds of worshippers whose parish church was partly gutted in a firebomb attack last week gathered at a makeshift prayer hall for their Sunday service and called for national unity and an end to violence. On Sunday, a Molotov cocktail was hurled at the All Saints Church in Taiping town in central Perak state early in the morning before it had opened, said state police chief Zulkifli Abdullah. He told The Associated Press that the building was not damaged but police found burn marks on the wall. A broken kerosene bottle with an unlit wick was found early Sunday inside the compound of the St. Louis Catholic church, also in Taiping, said the Rev. David Lourdes. He said it appeared to be a failed attack. In southern Malacca state, the outer wall of the Malacca Baptist Church was splashed with black paint, police said. Four other churches were hit by gasoline bombs on Friday and Saturday. All except the Metro Tabernacle, whose parishioners moved their services, suffered little damage, and no one was hurt. The other three held normal services Sunday. The unprecedented attacks have set off a wave of disquiet among Malaysia’s minority Christians and strained their ties with the majority Malay Muslims. The dispute is over a Dec. 31 High Court decision that overturned a government order banning non-Muslims from using the word “Allah” in their prayers and literature. The court was ruling on a petition by Malaysia’s Roman Catholic Church, whose main publication, the Herald, uses the word “Allah” in its Malay-language edition. The government has appealed the verdict. About 9 percent of Malaysia’s 28 million people are Christian, most of whom are ethnic Chinese or Indian. Muslims make 60 percent of the population and most of them are ethnic Malays. On Sunday, men, women and children from the Metro Tabernacle parish assembled in the cavernous, 1,800-seat meeting hall of the Malaysian Chinese Association party for the service. They lifted their hands and sang “We put all our faith in you,” and “You are the God of love and peace” during the Sunday service. Muslims are willing to kill and die for their religion, and these Christians want to sit around and sing. Sorry, that will not cut it. Christians, Hindus, Buddhists and Sikhs are routinely discriminated against in Malaysia. This despite the fact that it is people of those faiths that made Malaysia so prosperous. If only the people of these 'other' faiths can band together, instead of fighting the followers of the Cult in isolation! It is the case everywhere: we do not realize the threat posed by islam, and we never see it fit to come together to fight this evil. 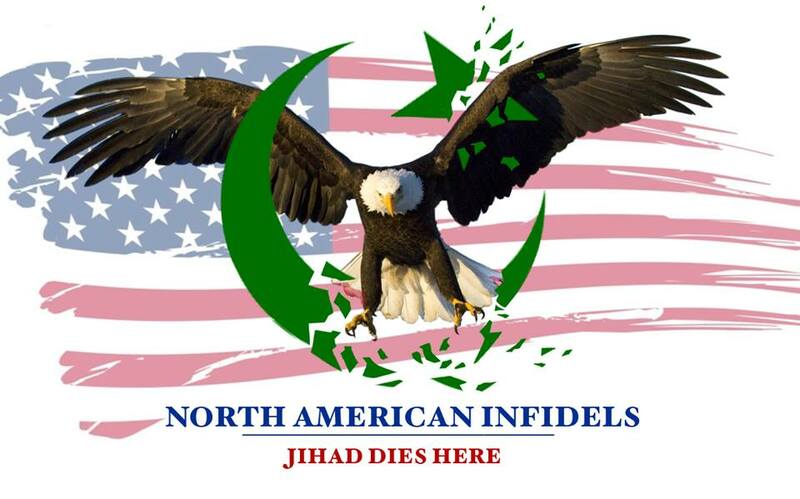 Non-muslims around the world are like most Americans…complacent..ignorant…refuse to believe there is an ideology out there that wants us either dead or Islamic! It IS time to bond together and expose this ideology. WORLDWIDE!! This is what Americans are thinking…"If its not happening in my town, it isn't real"
We have to educate the world, about this violent, bloodthirsty cult. I'm ready. I go to the range regularly and use pictures of prominent muz scumbags from al qaeda as targets. Soon as they "open season", I'm there! Since many view "allah" as just another Arabian demon, the term "allah" should only be used in reference to demonic entities and not the real deity. The prayers of the prophet Daniel were opposed by the new demonic principalities of the Mede-Persian empire after Babylon (and its principalities) fell. The "allah" of Islam is just another entity in the pantheon of Middle Eastern pagan, demonic principalities. The term "allah" refers to just another imp demon of the ME desert, and nothing more. Again, the term "allah" should always be associated with demons and false deities; nothing more. The Tanach speaks of an ancient evil that will oppose Israel in the "latter times." The prime mover for that ancient evil in our day is nothing more than the "religion" called Islam and their pagan, demonic deity they they call "allah." It sux to be them!! !